Vicky and I started dating in the October holiday two years ago. To celebrate our sort of 2 year anniversary and the 24 months which has just flown by, we decided to go on a little trip this October holiday. 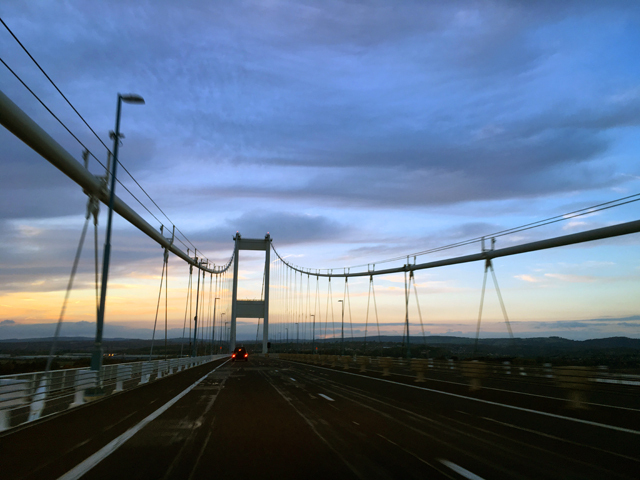 Our Half term adventure began by travelling across the Old Severn Bridge through Wales to the Forest of Dean. We were on our way to Camping in the Forest’s Bracelands Campsite in Coleford, right in the middle of the forest. 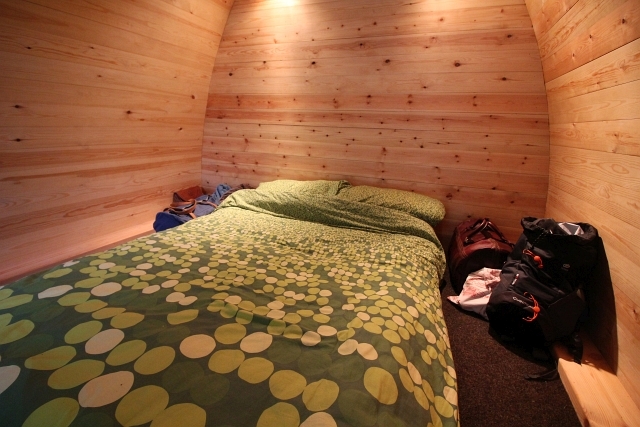 What appealed to me when booking was the fact that you stay in wooden Camping Pods. This extra bit of luxury would be especially beneficial at this chilly time of year. Google Maps took us straight there and upon our rather late arrival at 6:45pm we were greeted by a chatty and friendly member of staff who took us to our pod. What is great about the pods is that you don’t have to set up anything, it is just a case of unloading the car. As we had arrived quite late, it was already dark and would have been horrible to have had to pitch a tent in the blackness. It was obviously difficult to see what we were doing, thankfully there is electric in the pod, so we just switched on the light inside. So the first part of our stay was super easy, we used an electronic pump attached to the car to blow up the airbed (beds are not included in the pod), made up our bedding and we were all set. Easy peasy! What is also brilliant is that because we needed less gear and no tent, we were able to pack light and take the car which is much more efficient than the van for long journeys. As the pod has electricity this meant there were plug sockets for your phone charger, gadgets, camera, hair dryer etc. The pod also has a small plug-in heater, which worked brilliantly to warm us up. The design of the pod inside gives a low shelf either side of the bed to help store things like watches, torches iPads, phones, keys etc and there is another useful small shelf by the front door. In the morning, we decided to make porridge to give us a warm start for the day. What I loved about the pod was the fact it has a covered porch area, so even when it rained, we managed to stay dry under the shelter. We were able to sit on our fold-up chairs and enjoy the fresh air, whilst having breakfast. A lovely way to spend the morning. The shelter worked really well and we were able to keep things like our Party Grill outside, without them getting wet. 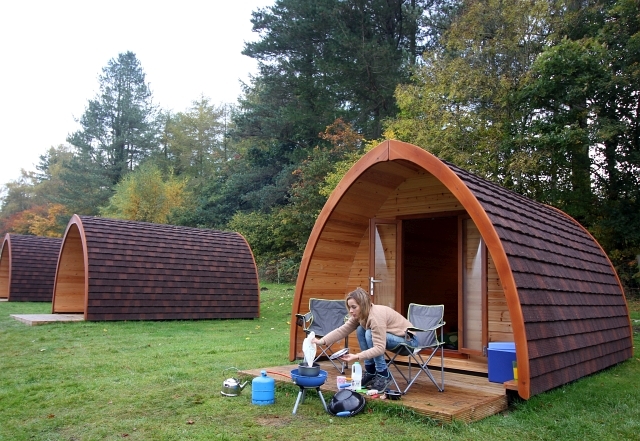 The pod is very stylish and a great way to camp. 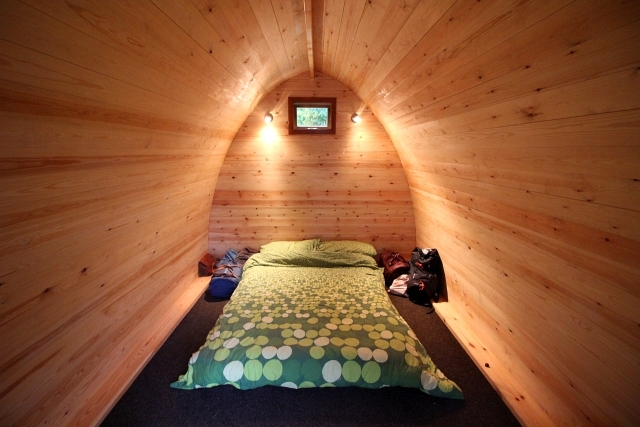 It is extremely spacious, I imagine you could fit two double blow up beds inside with ease. We had plenty of room for our bed, camping equipment, suitcases and other essentials, plus extra floor space: we felt very spoilt! As you can see it’s more than tall enough to stand up in and at 6 foot, I had no problems banging my head. The double glazed door and window kept it very warm and stopped unwanted bugs and flies getting inside – I know this will please a lot of people. We were able to park so close to the pod which made it easier to pop out during the days. 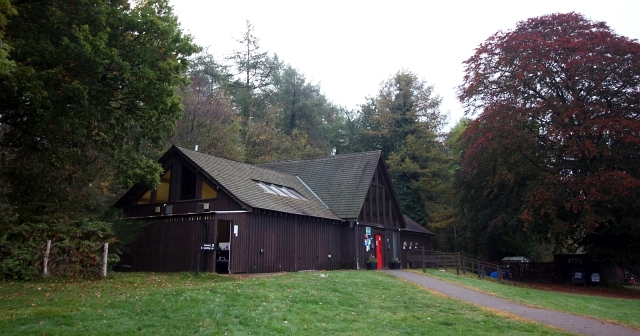 The campsite is really attractive, totally surrounded by the forest and lots of walks directly from the campsite. 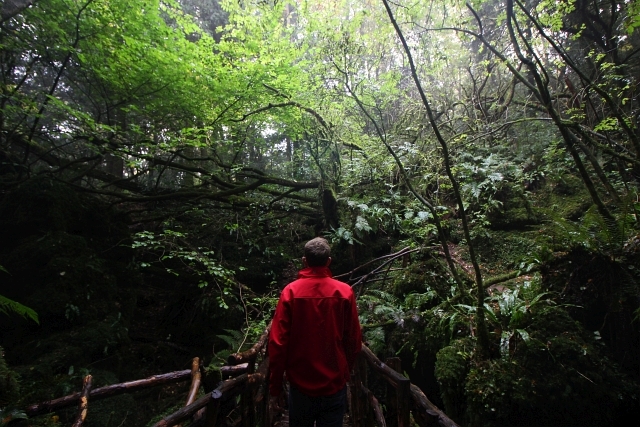 We were excited to explore what the Forest of Dean had to offer. 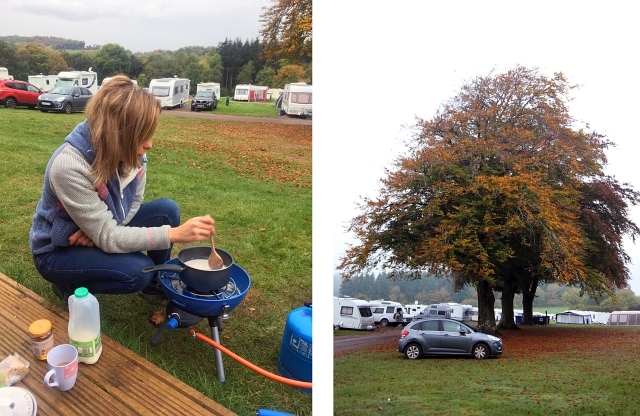 Before leaving the campsite each day we made good use of the facilities onsite which were in good condition. There is a large, modern, guest building containing plenty of toilets and showers which is cleaned on a daily basis. It was always immaculate and tidy. The campsite itself is large and although quiet at this time of year, it looked like it could hold lots of campers with no issue at all. 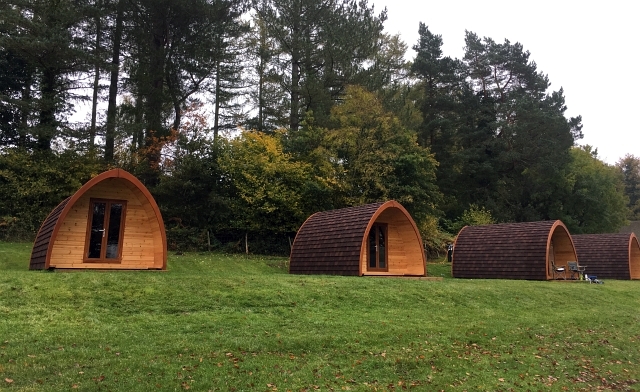 I think that Autumn or Winter is a brilliant time to come and stay in one of these pods as you’ll have lots of forest to yourself and the luxury of the pod will keep you warm and dry. 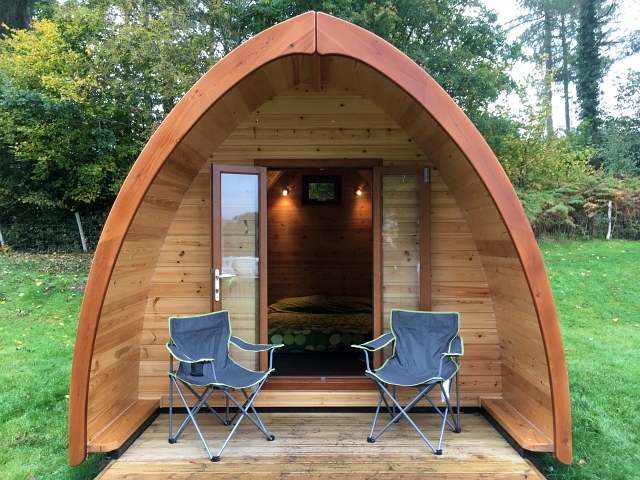 There are just five of these well designed and cool pods on the campsite which are located a short walk from the visitor block but are set back against the woodland and away from the main paths. This makes it very convenient but also a bit quieter than other parts of the campsite. The location is amazing. As you are surrounded by forest on all sides, you can just exit the campsite through any gate and have an awesome walk. 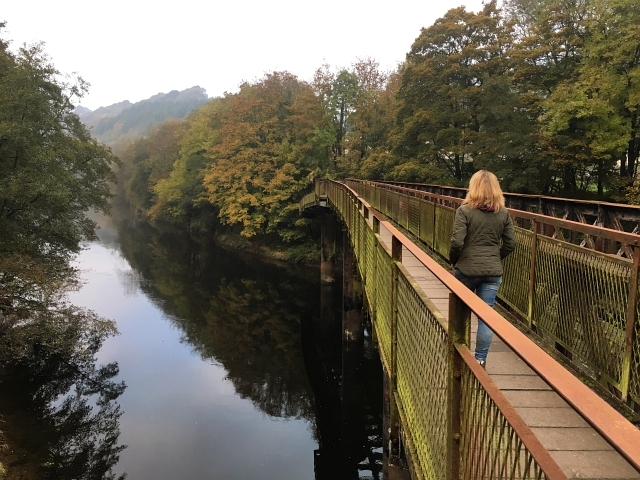 With the River Wye in short walking distance and lots of cycle routes around, it’s a great place for an active holiday. 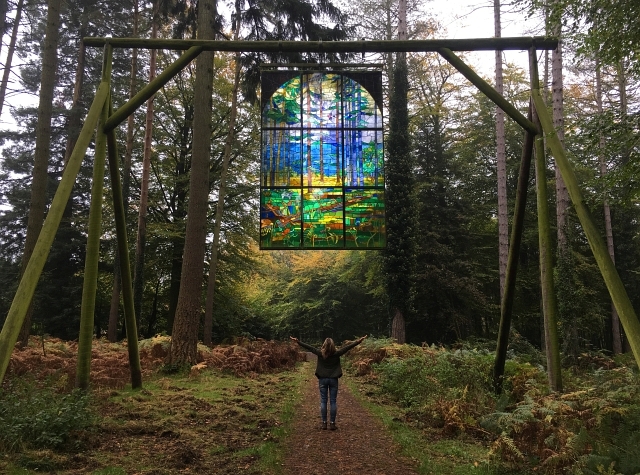 There are lots of things to do in the Forest of Dean, including great wilderness, pubs and attractions like Puzzlewood (which is amazing- the new Star Wars movie was even filmed here); so many woodland walks right outside the campsite and further afield. I would recommend the campsite and hope to go back again soon. 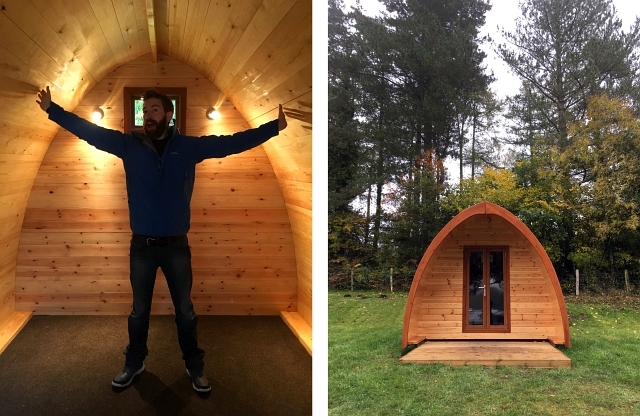 If you’re interested in visiting these amazing pods then check out the Camping In The Forest website here.